Southport have appointed former Blackpool and Bury striker Andy Preece as their new manager. The National League strugglers sacked Steve Burr last week, and director of football Liam Watson was in charge of last Saturday’s defeat at Gateshead on an interim basis. Preece was manager at Welsh league side Airbus UK Broughton until last August, stepping down on the eve of the new season. He started his managerial career at Bury and has since taken charge of Worcester City and Northwich Victoria but more recently has been an academy coach at League One side Fleetwood Town. 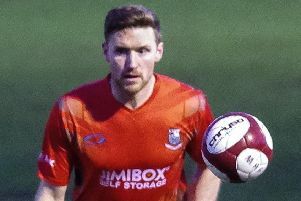 As a player, Preece made 129 appearances for Blackpool and 166 for Bury. He also played for Northampton, Wrexham, Stockport County, Crystal Palace and Carlisle. Preece is Southport’s third manager this season, Andy Bishop having started the campaign in charge being replaced by Burr. The 49-year-old said: “I’ve got a fantastic opportunity at a well-run club that I have known for many years. “My first match in charge of Worcester was against Southport. “I am really looking forward to the challenge. I’ve been in this situation before taking over a club and I expect to succeed. “There is a lot of hard work ahead on and off the pitch with 15 games to go. “It is a big job but I have no fears and expect us to be moving forward.